Rose Charities Canada in conjunction with AMDA Canada has commenced an assistance progam for yesterdays major Nepal (and region) earthquake. AMDA International is a major partner of Rose Charities and is one of the most respected world leading emergency relief organizations having sent hundreds of worldwide emergency medical missions for over 20 years. 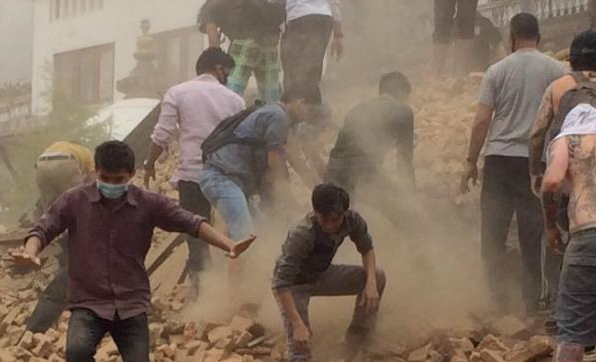 AMDA’s Nepal chapter is highly active in medical assistance of every type and is already at work. Rose and AMDA have worked closely together for emergency situations. The relief efforts will be coordinated by medical relief expert Dr Collin Yong of AMDA and Rose Canada, who also planned similar assistance both in the Philippines ( Haiyan and earlier disasters) and many other world locations. Assistance is now very urgently needed. Posted on April 25, 2015 by gwillg. This entry was posted in Emergency Relief, Events, General interest, People. Bookmark the permalink.